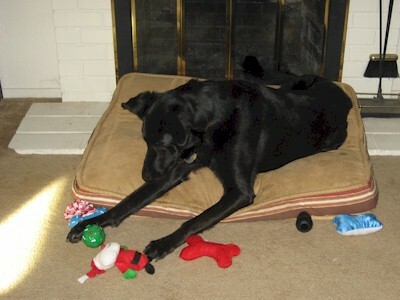 Check out Shadow's Christmas - that boy LOVES toys! 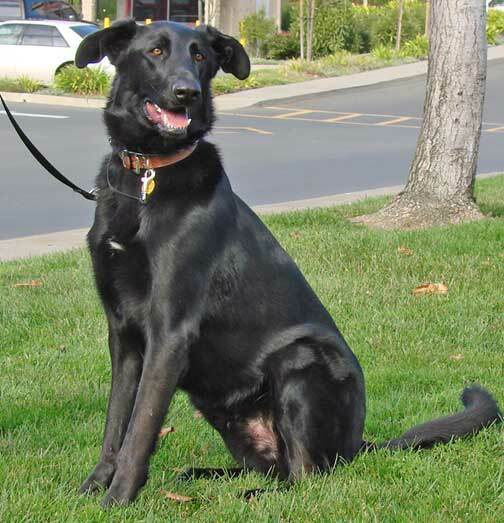 Shadow started favoring his hind leg, so we took him in and determined he had an injured cruciate ligament. 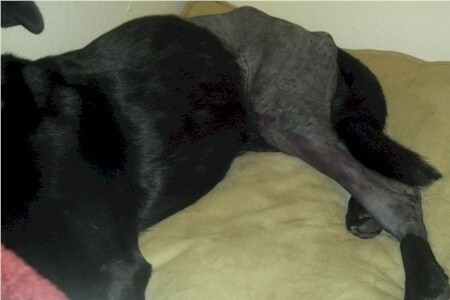 He went in for TPLO surgery on 11/3/11 and came through just fine. 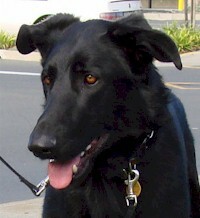 We had his hips x-rayed while there, and were delighted to find out he has no hip dysplasia. Once he's healed up, he shouldn't have any more problems! 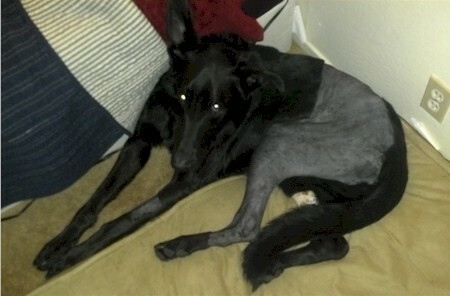 Shadow's surgery came out of our Rainbow Fund for dogs with one-time, major expenses and special needs dogs. We always greatly appreciate any donations so we can continue to help dogs in need! 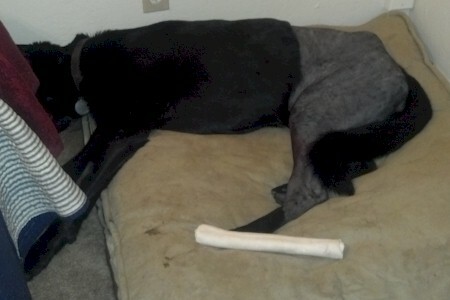 Shadow's journey, day 2: Lots of swelling today, but good appetite. Nice job by Dr Chad O'Brien of Maze Animal Hospital in Modesto! 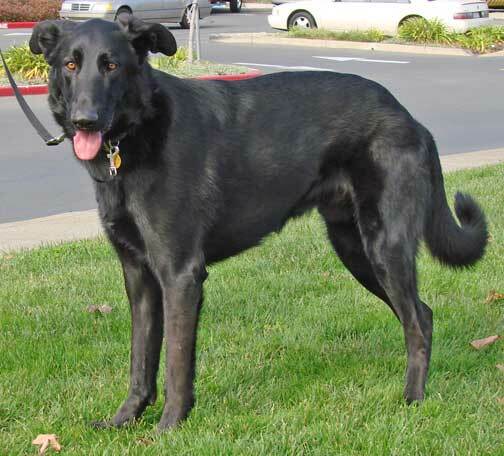 Shadow is 3 to 3.5 years old male. 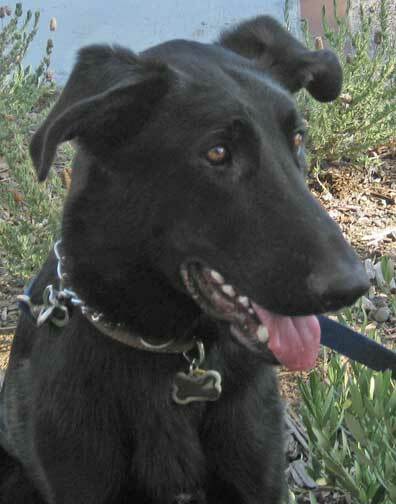 He is a German Shepherd, but you might have to look twice to see it with not one but two floppy ears. 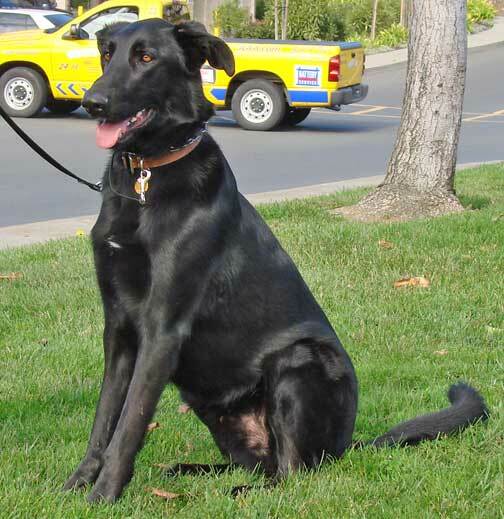 With a sleek, shiny, black coat, Shadow is a handsome boy. 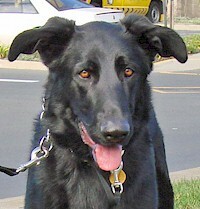 Shadow is an easy dog to get along with. He's fairly well-mannered. He has good house manners. He rides nicely in the car, and is crate-trained. He knows some basic commands; he will sit, stay, down and come on command. 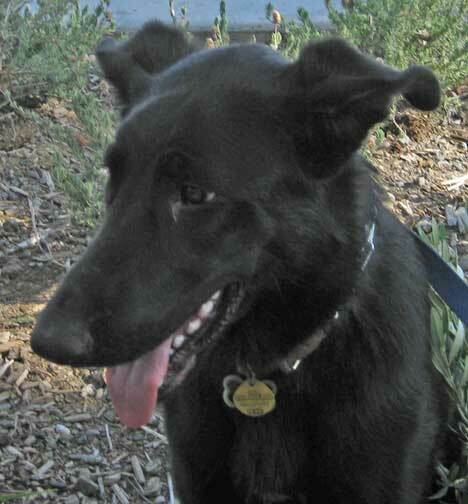 Shadow plays well with other dogs of both genders so far. 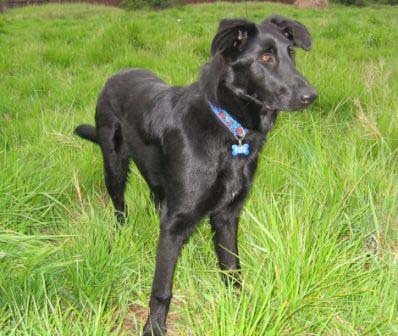 He will definitely do better if he has another dog buddy to play with, so a home with another dog would be best. Shadow gets along with the other dogs in his foster home, but sometimes plays a little rough as he does not realize how big he is. He likes children, but due to his size, should probably not go into a home with very small ones. Shadow is reactive towards cats. 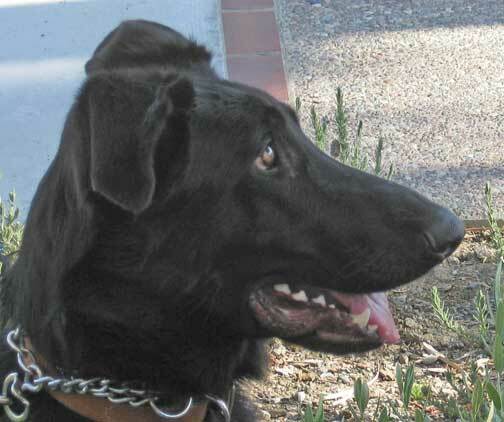 Shadow has mild elbow dysplasia, and our vet has told us that surgery will not help him. He is doing very well now; he runs and plays very hard. It is hard to tell is disabled. 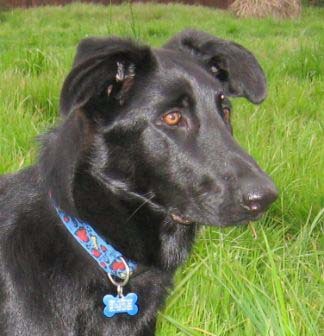 He loves to play ball, so he needs a home with some room to chase a ball. This dog is a Level 2 Dog!